You may think of the Wisconsin Dellsas a summer destination but after Labor Day when vacationers leave, leaves and rates start changing. 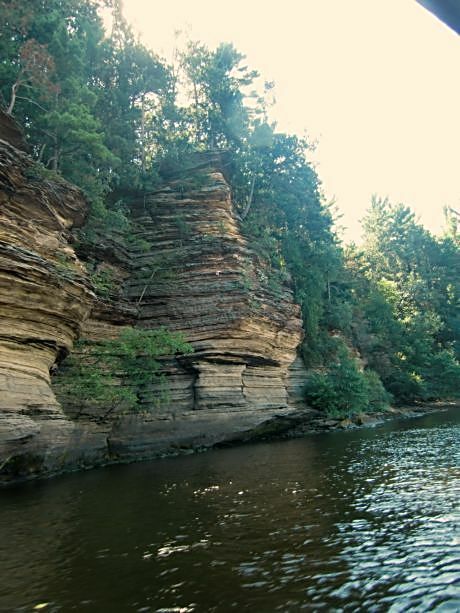 Spread along the scenic Wisconsin River northwest of Madison, the Dells make a terrific fall trip. Autumn is when accommodations and nearby Circus World cut their rates and a boat ride on the river is a photographer’s dream. Indeed, Circus World, an easy 10 minute drive south of the Dells on US Highway 12 to Baraboo, cuts its admission in half after Labor Day. It has parade wagons, Ringling Bros. memorabilia and great photo ops. If coming during a weekend with youngsters, book an indoor waterpark. Among them is the African themed Kalahari Resorts which has enough stuff for adults to keep them happy too, from bowling to a place where guests swim, not belly-up, to a bar. The Original Ducks Tours’ renovated World War Two amphibian vehicles are also fun because they wind through the woods to get to the river. To see the photo and hear the story behind the rock leap that made the Dells famous stop at the 1875 photo studio of H.H. Bennett. The studio is a turn-of-the-last-century photography museum and a place where you can still have a portrait taken. 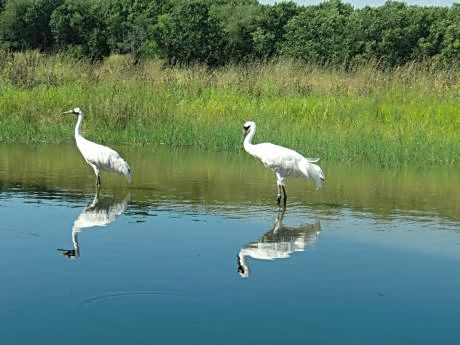 A lesser known but fascinating attraction, is the International Crane Foundation about 10 minutes south of the Dells off US Highway 12. It is open weekends after labor Day. You can check the website to see when ICF is hosting a festival or just go to see the world’s most comprehensive crane conservancy and hear why staff wear white outfits and crane puppet gloves for feeding and training.